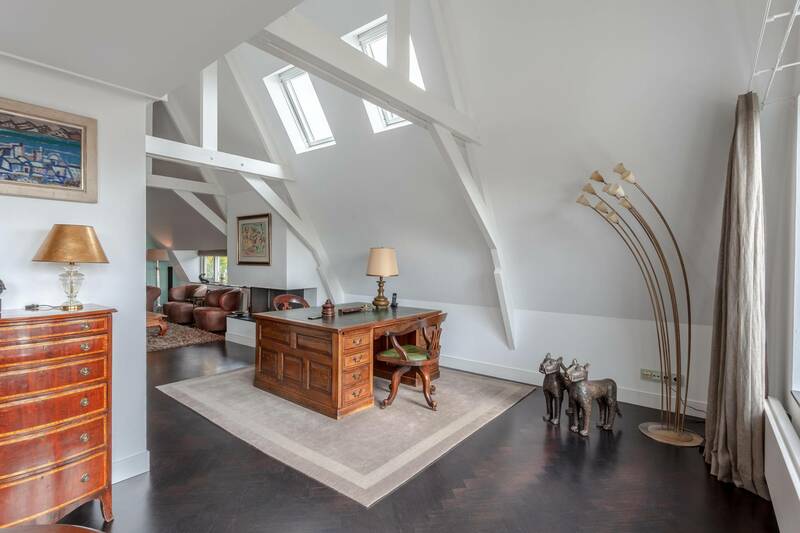 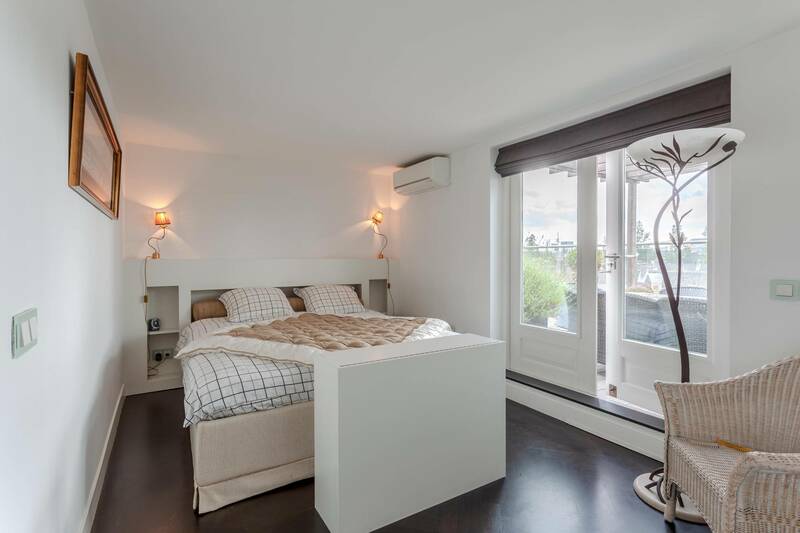 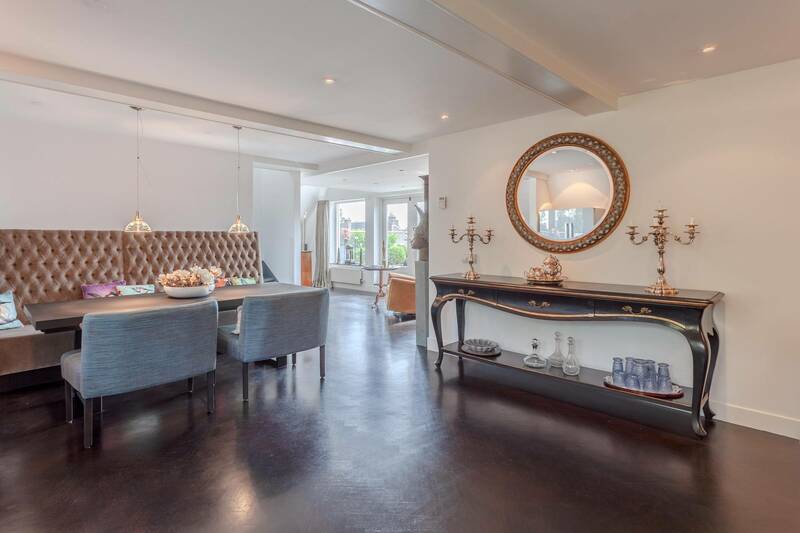 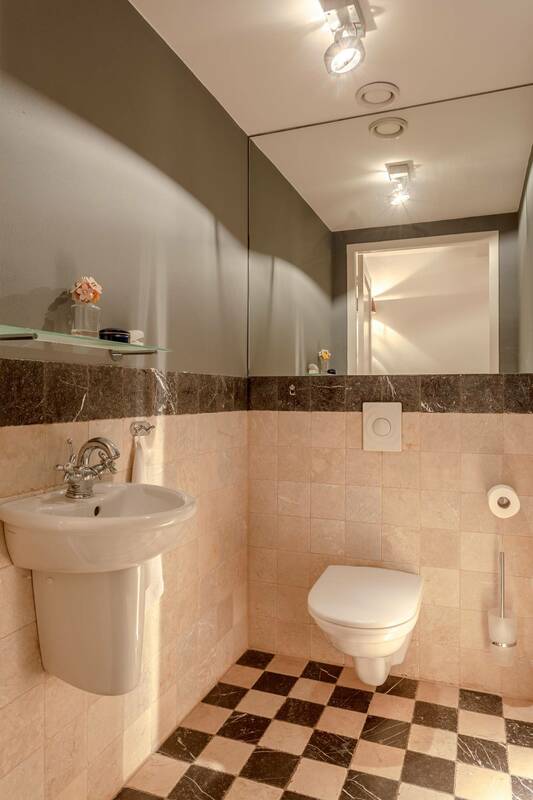 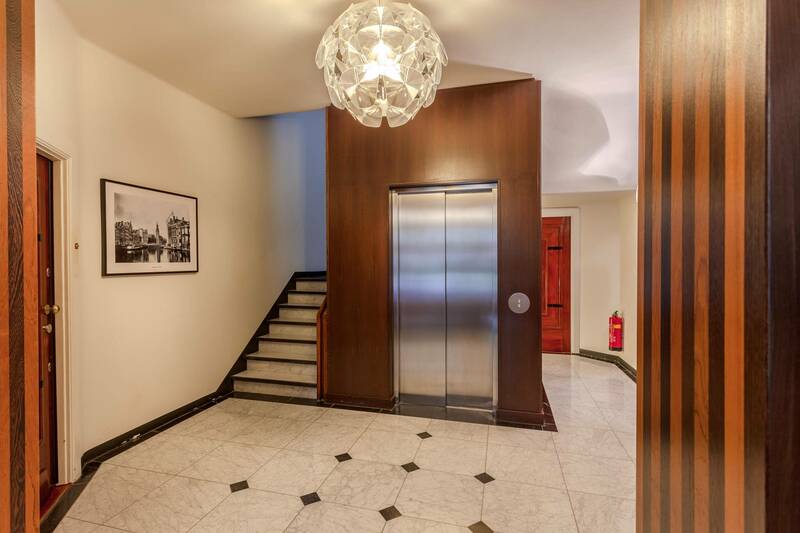 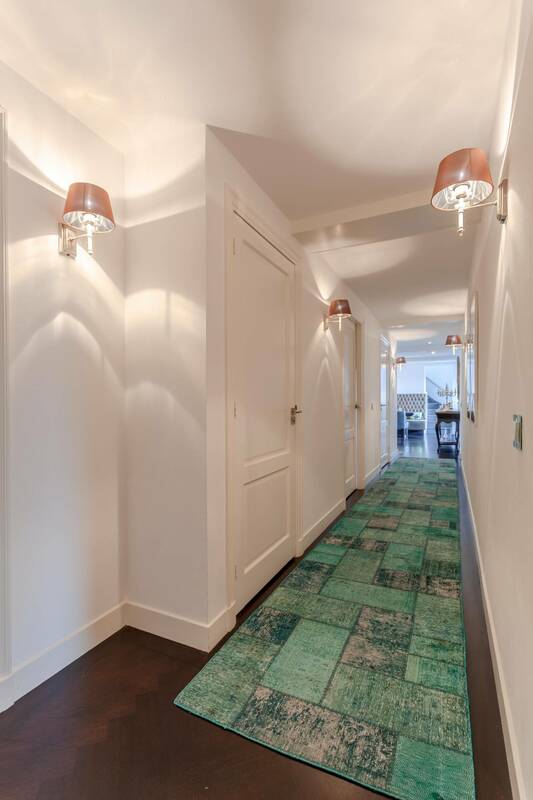 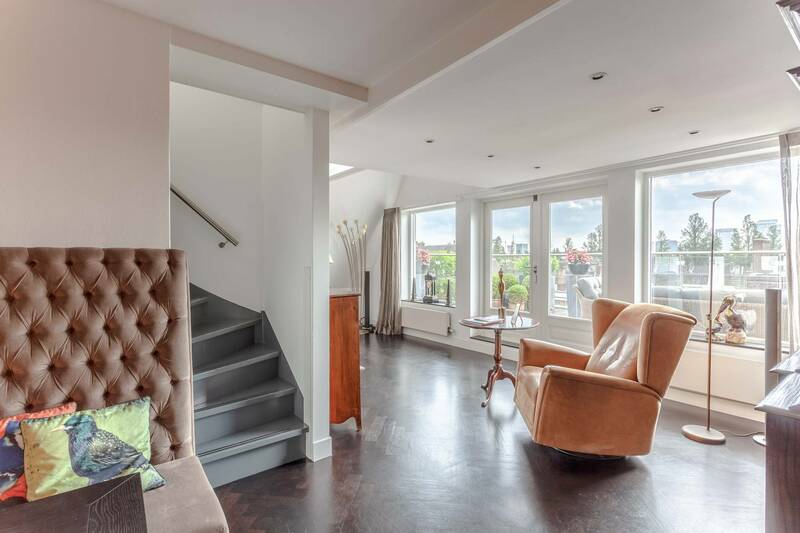 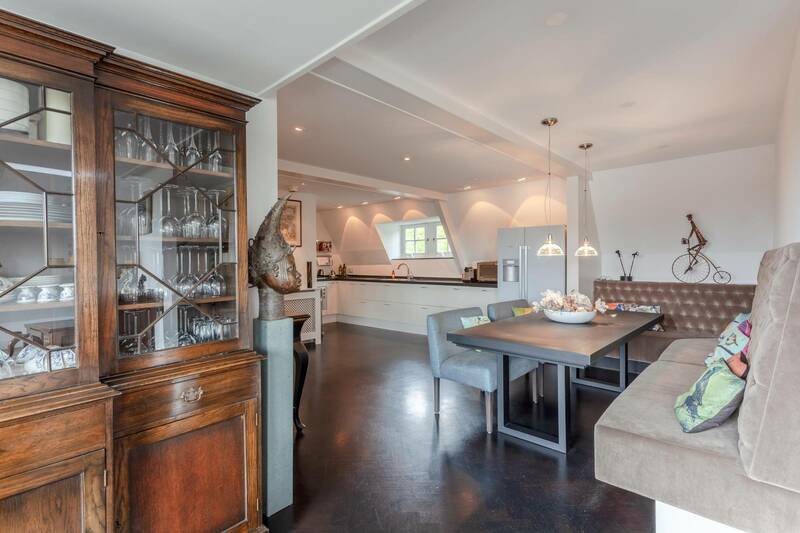 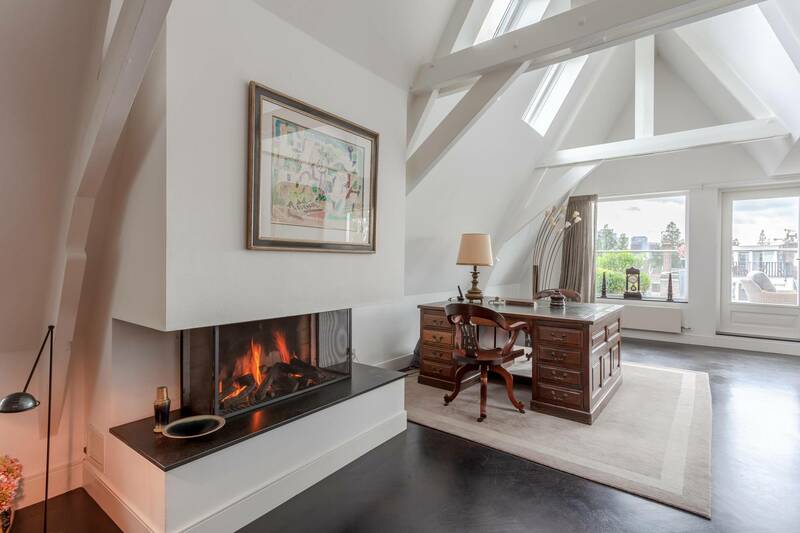 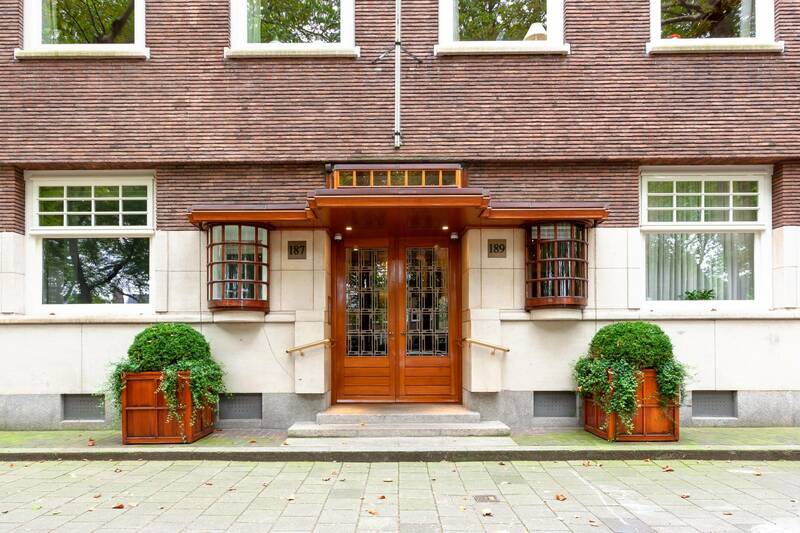 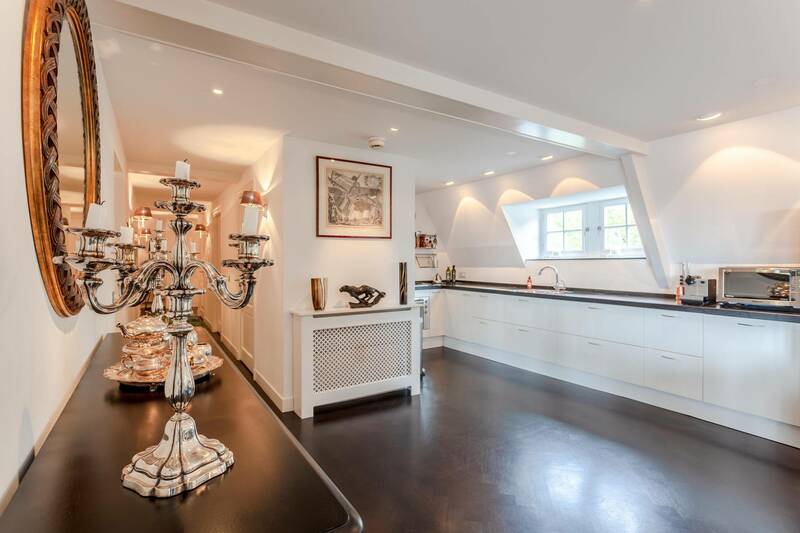 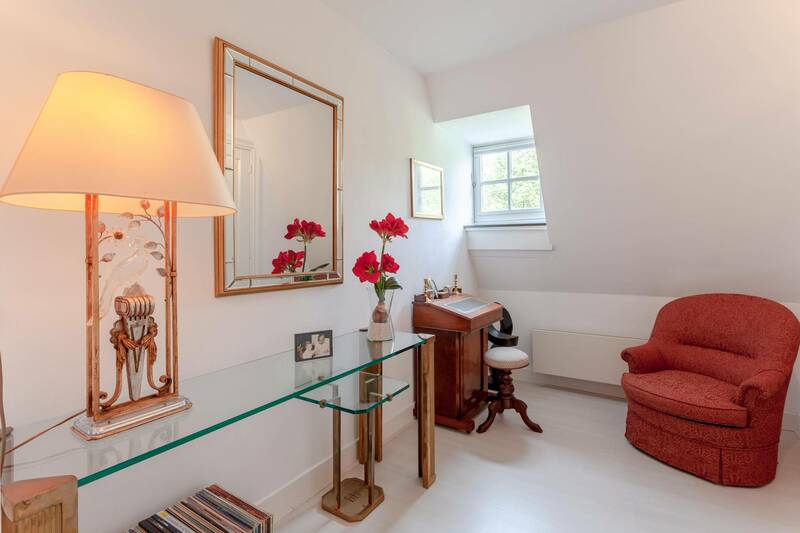 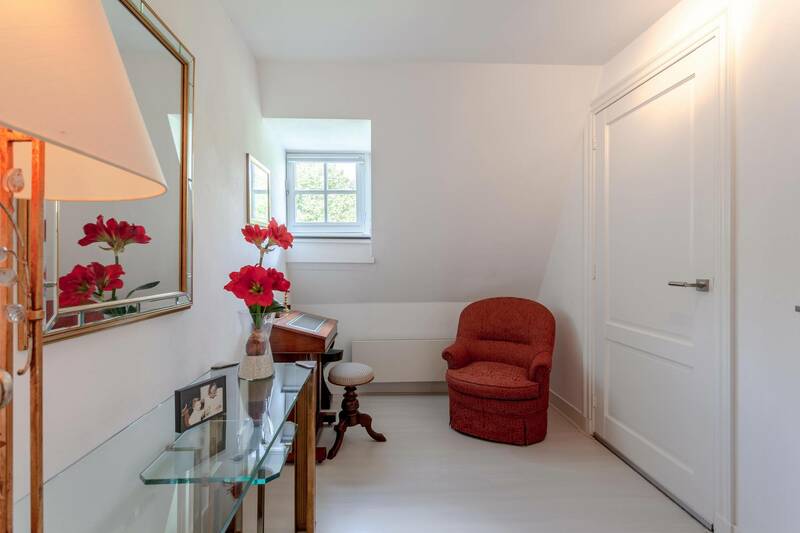 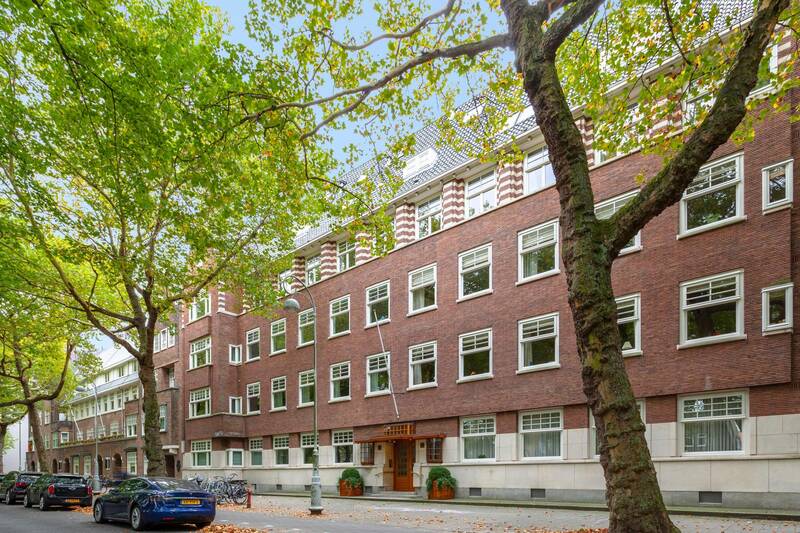 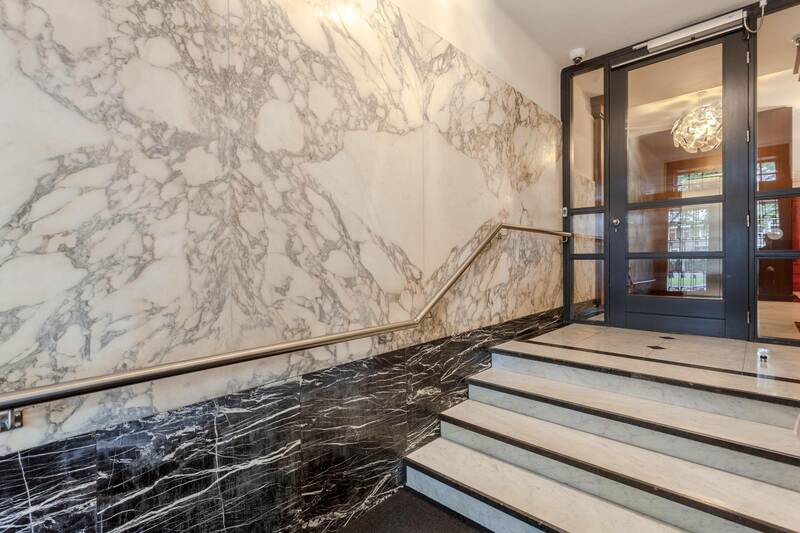 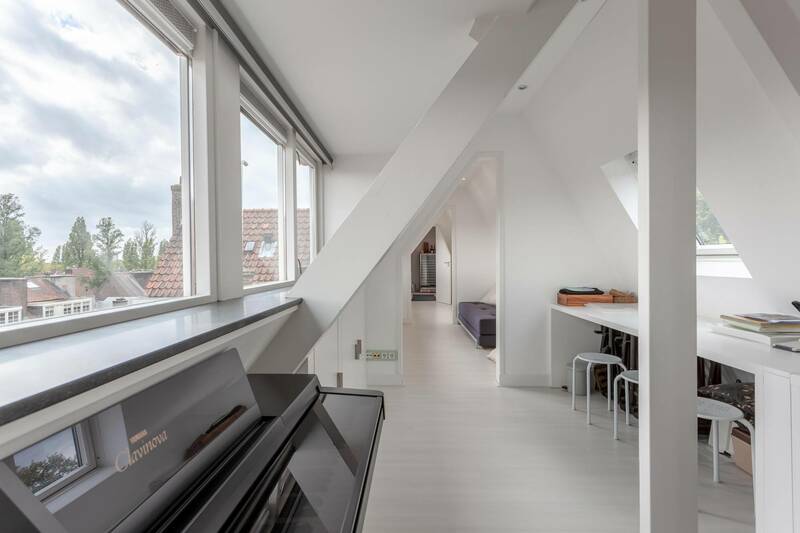 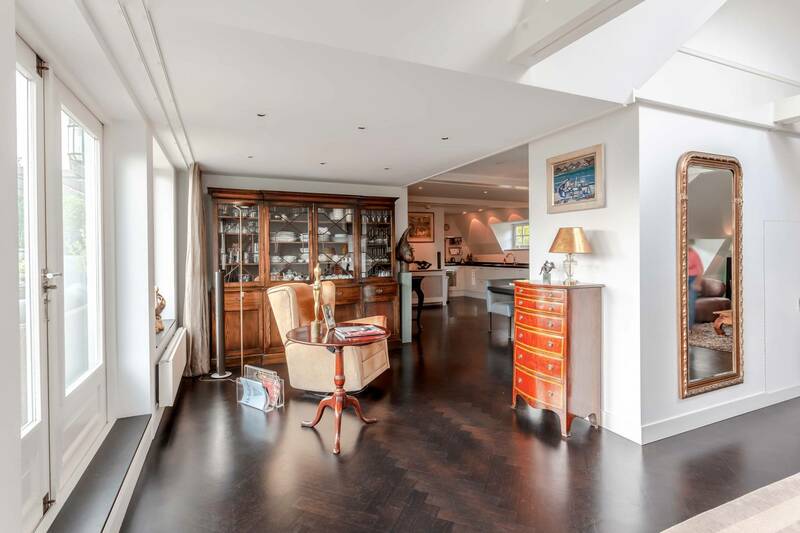 Elegant, charismatic and extremely spacious, this 3 bedroom apartment offers an extra special Amsterdam home. 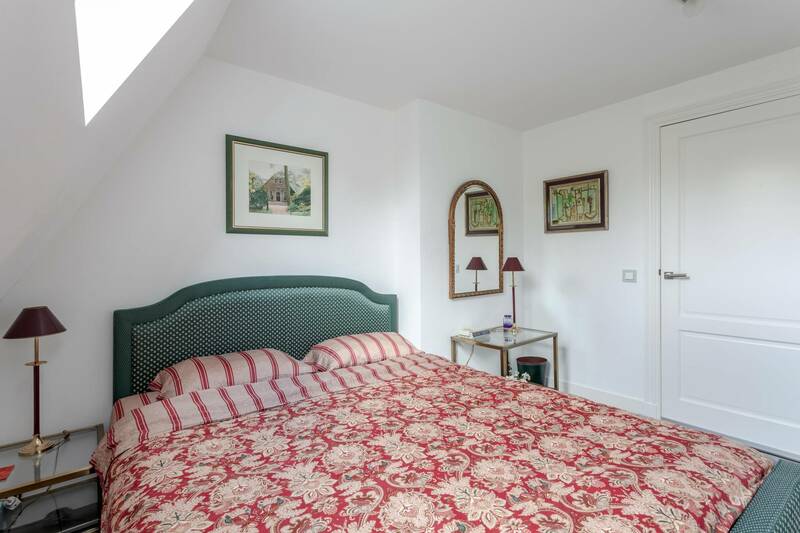 The lodging is spread over the 4th and 5th floor, covering 200 m² in total. 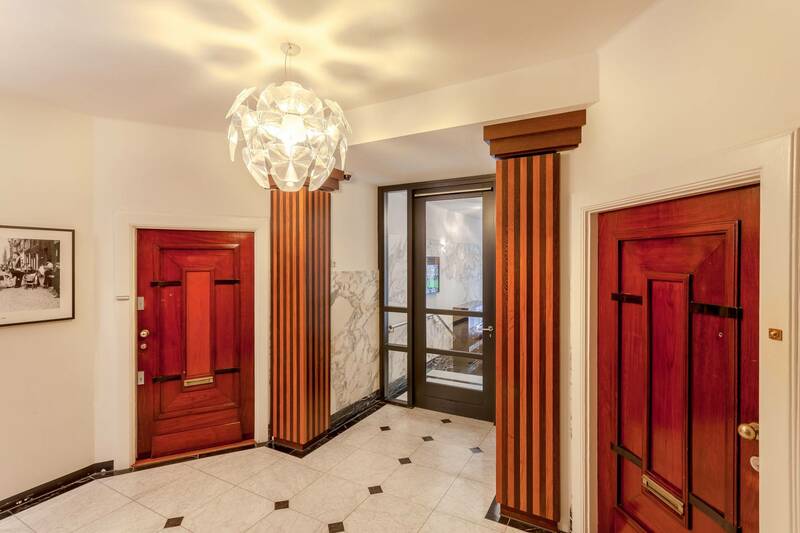 Fully furnished with wooden floors and unique fixtures, the residence blends a beautiful design with a luxurious location in the city’s Old South. 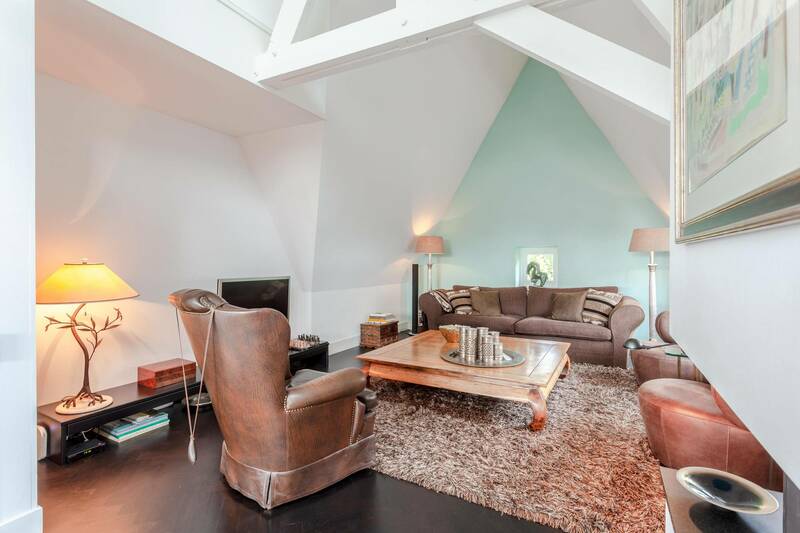 Accessible via lift, the lower level welcomes with fresh décor, intimate sloped walls and exposed beams. 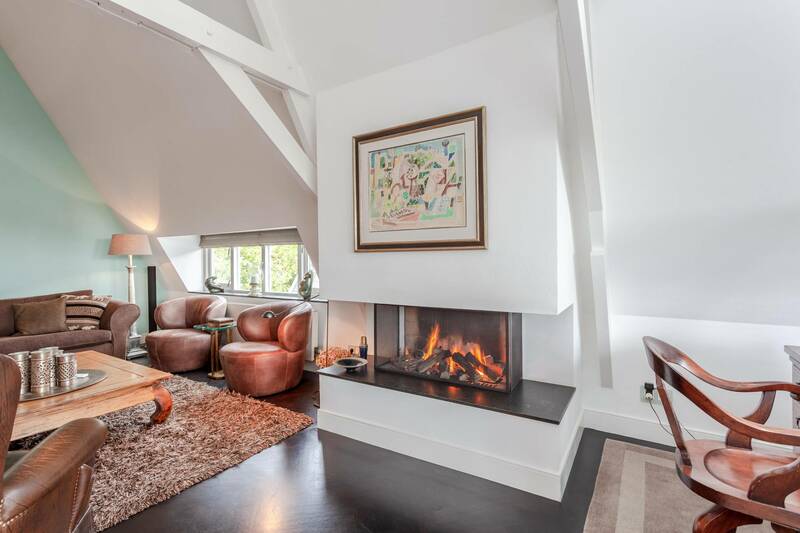 A sophisticated living area and study is on hand for relaxation, which comes equipped with a TV, sofa, armchairs, a bureau and a stylish fireplace. 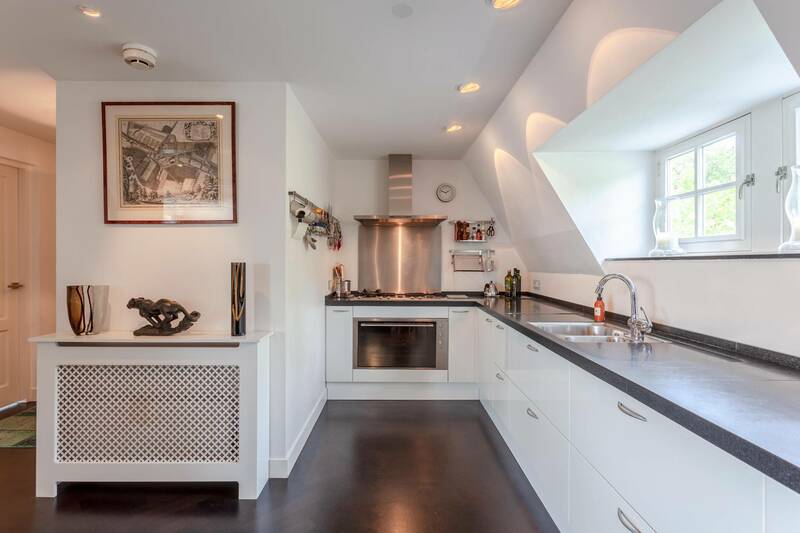 Modern and roomy, the kitchen provides plenty of space for home-cooking and all essential amenities, including an oven, hob, microwave, dishwasher, fridge, freezer and a striking dining spot. 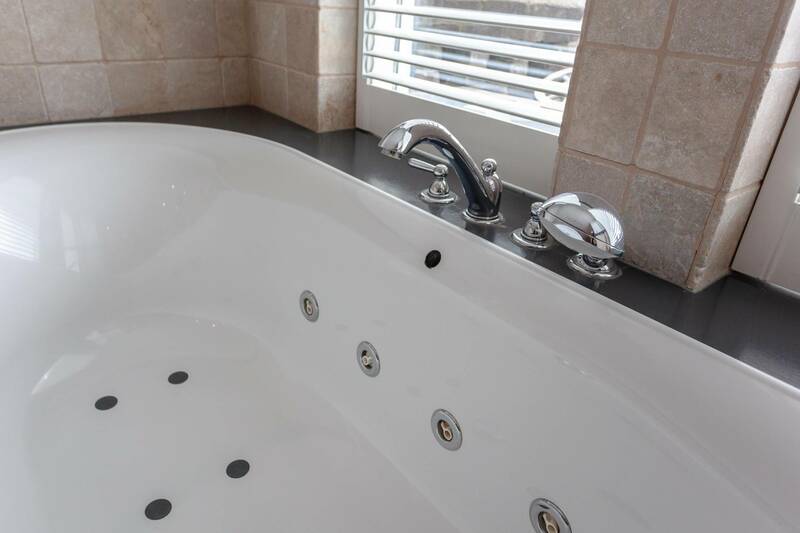 The master bedroom features a double bed, secreted TV and an en suite bathroom, ensuring the height of luxury with its Jacuzzi bathtub, double sink and walk-in shower. 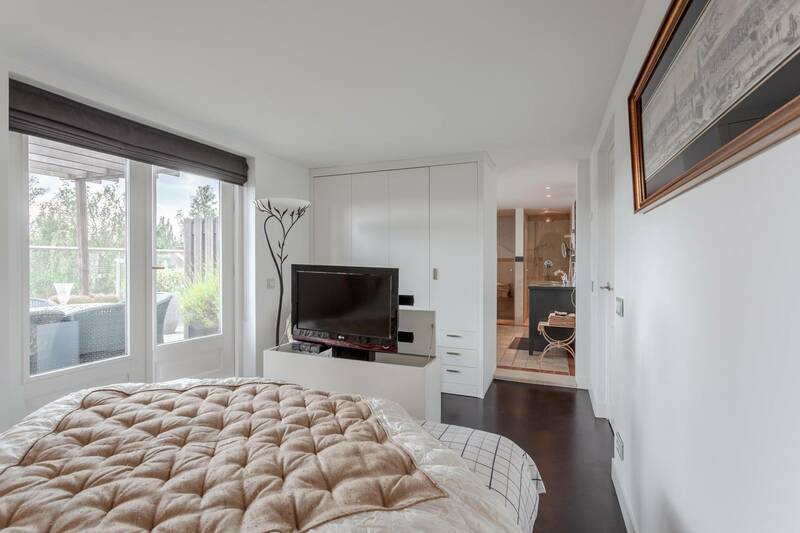 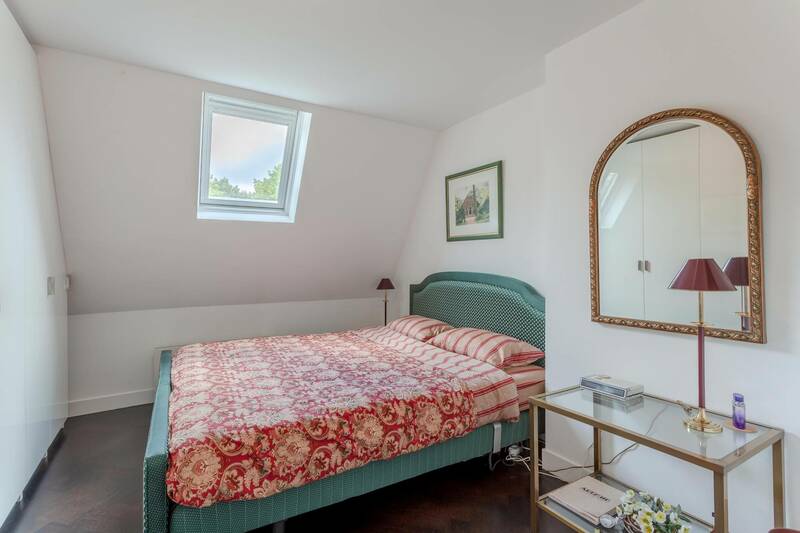 Two equally inviting bedrooms are also on hand, perfect for sleeping guests and for using as a home office. 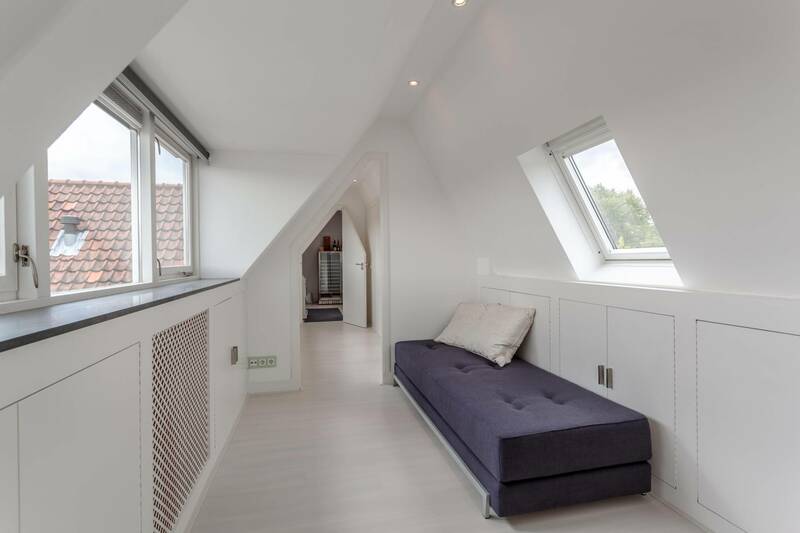 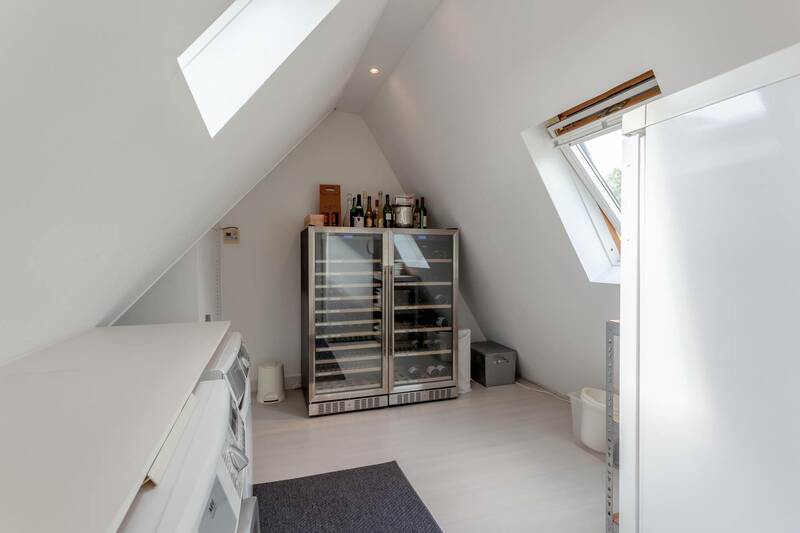 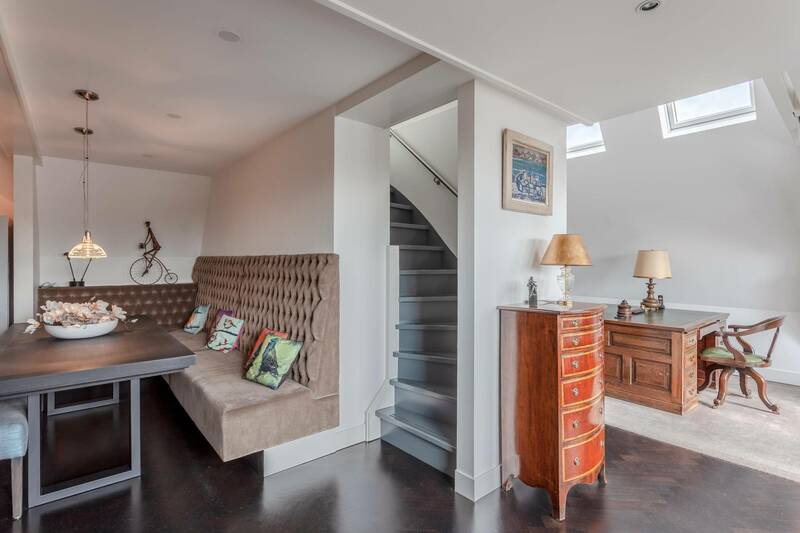 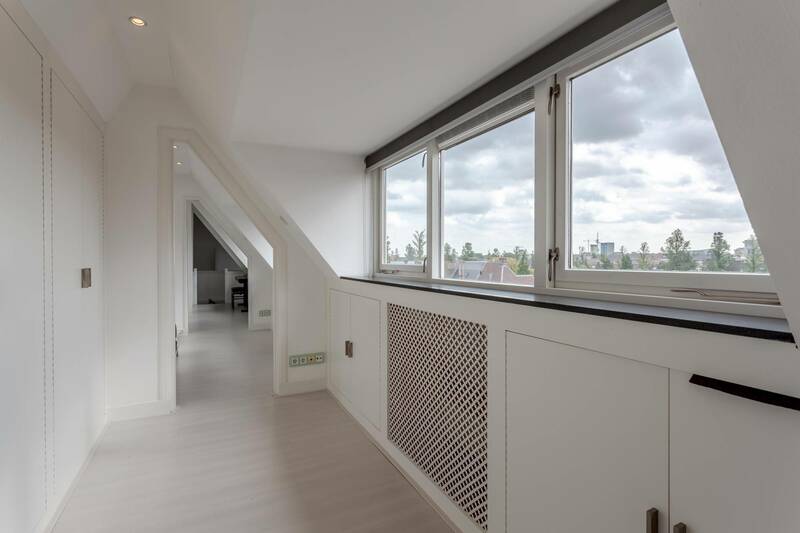 The upper floor provides ample space for storage, with 30m2 at your disposal. 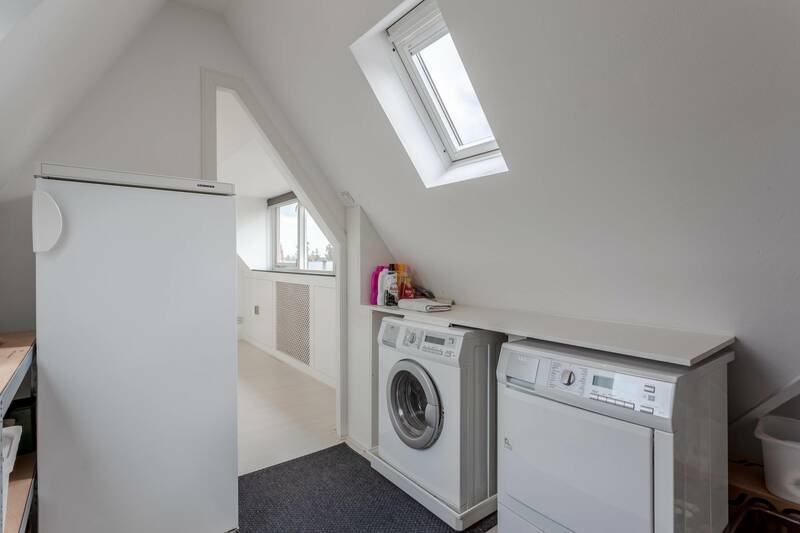 An extra bathroom, a washing machine and a dryer guarantee the utmost convenience. 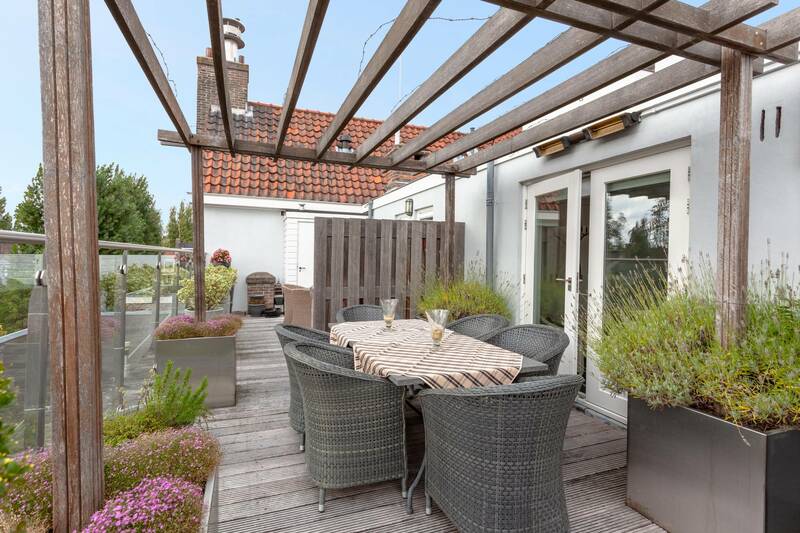 Finally, the superb roof terrace concludes the dwelling in style, ideal for enjoying the sunshine with friends and family. 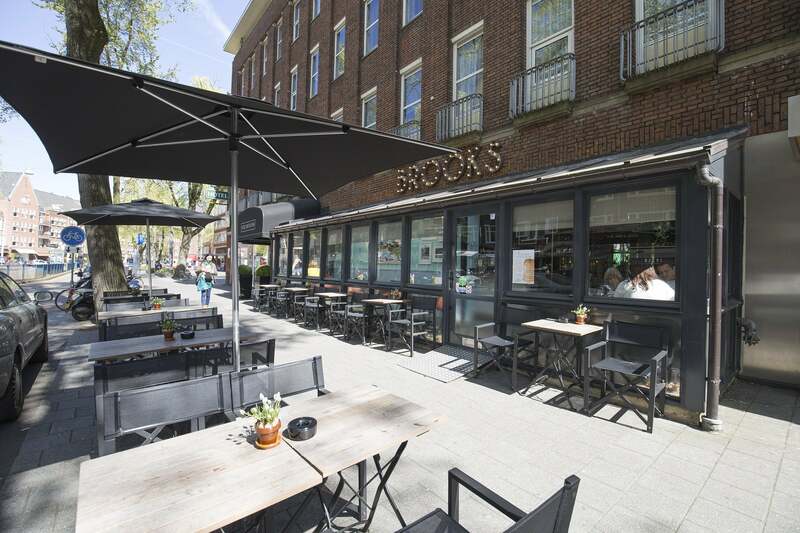 Regarded as the capital’s most desirable district, the Old South is renowned for its sweeping avenues, elegant architecture and top notch restaurants. 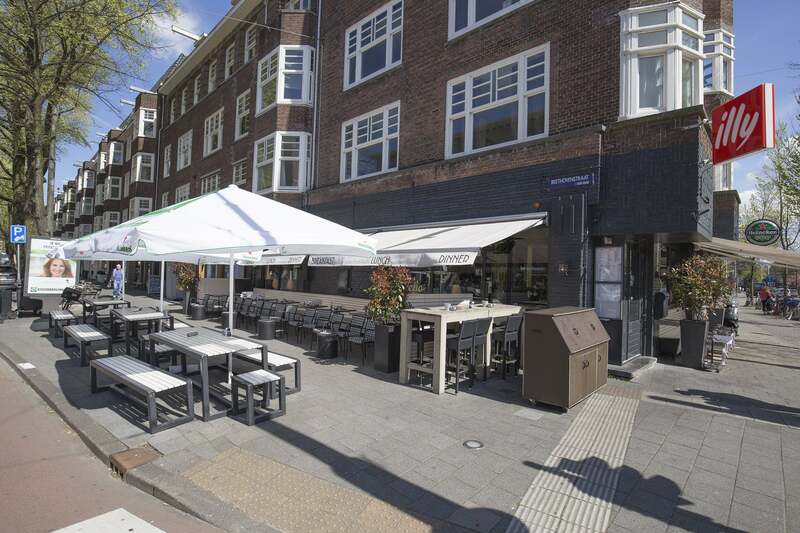 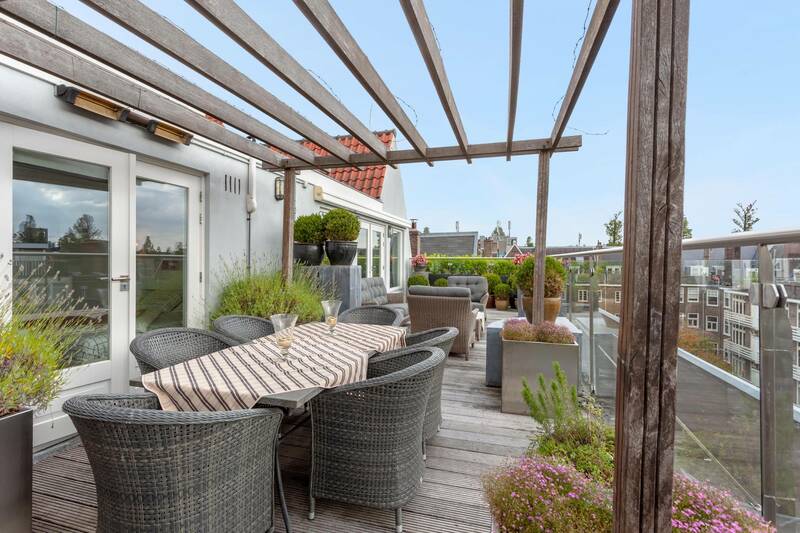 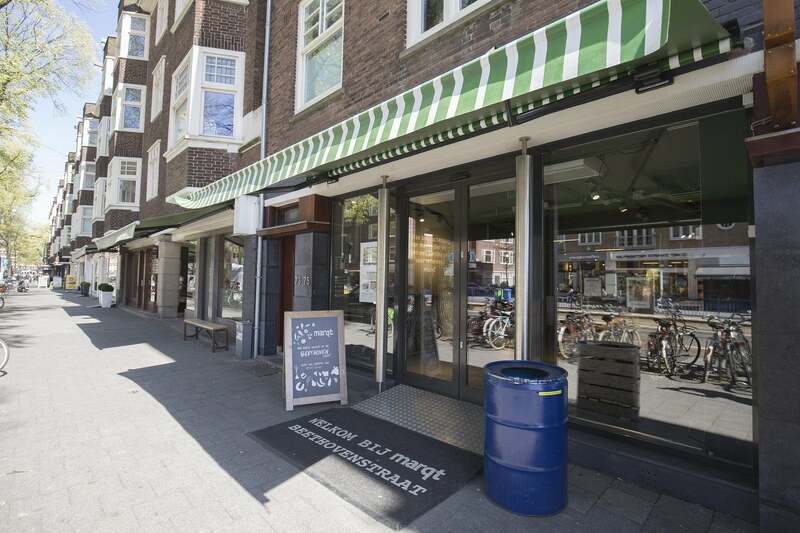 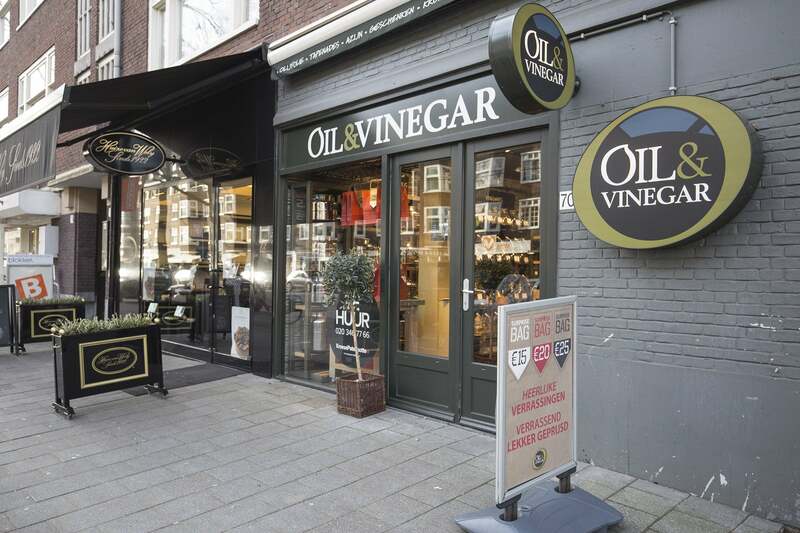 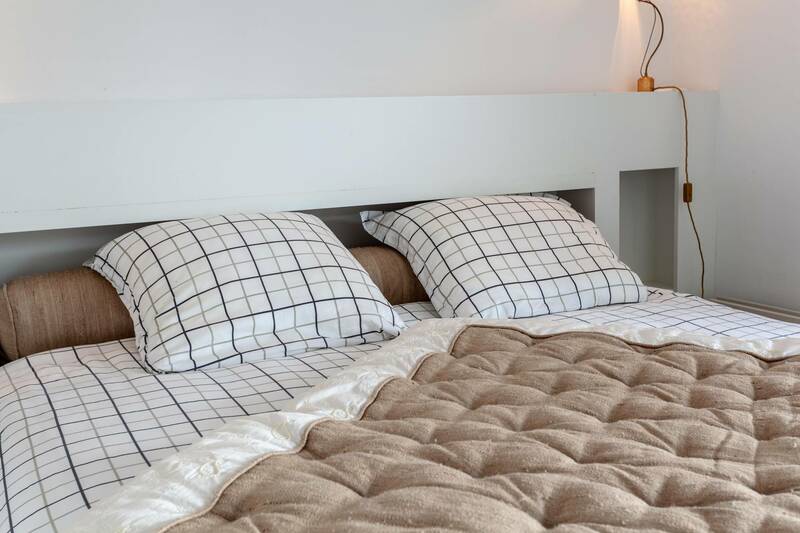 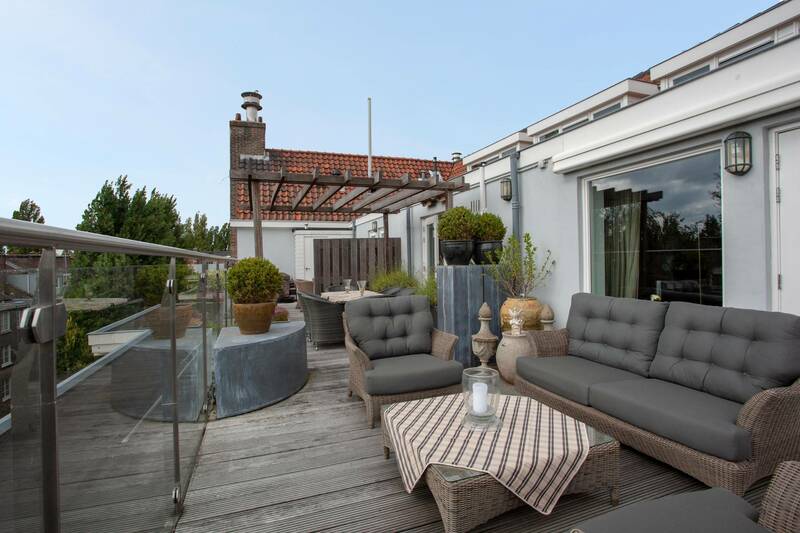 The neighbourhood supplies a range of local amenities, which include the delightful bakeries and deluxe boutiques of the nearby Beethovenstraat, plus a selection of supermarkets, with the nearest organic store situated within 700 metres. 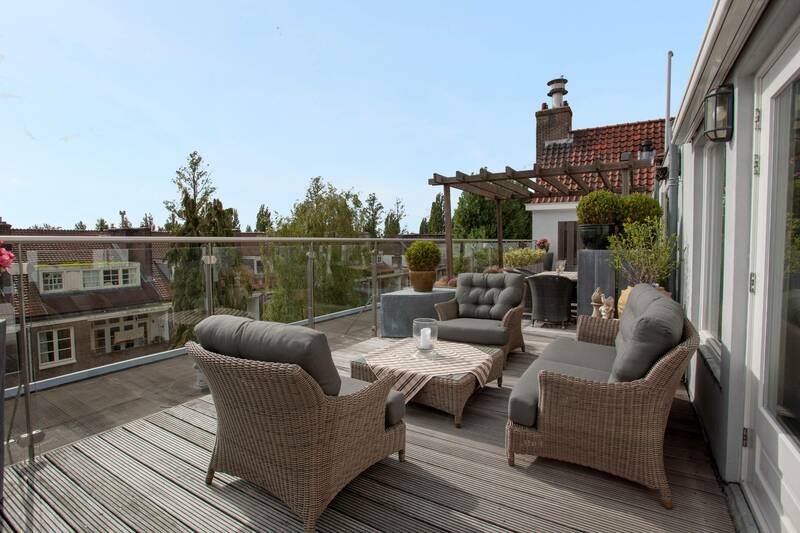 The quarter also grants access to several picturesque spots, which range from the ever popular Vondelpark to the serene Beatrixpark and the city’s enchanting forest. 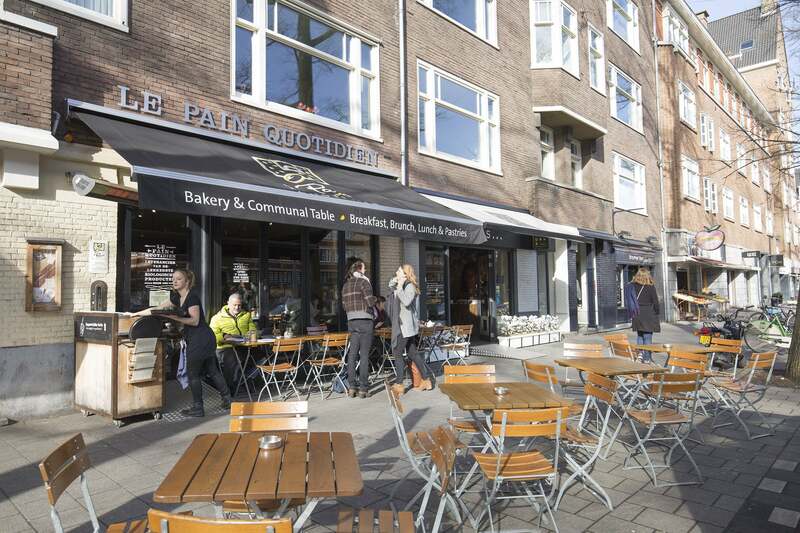 Amsterdam’s Zuidas Business District is accessible by bike in less than 10 minutes and Central Station can be reached by public transport in just 20 minutes. 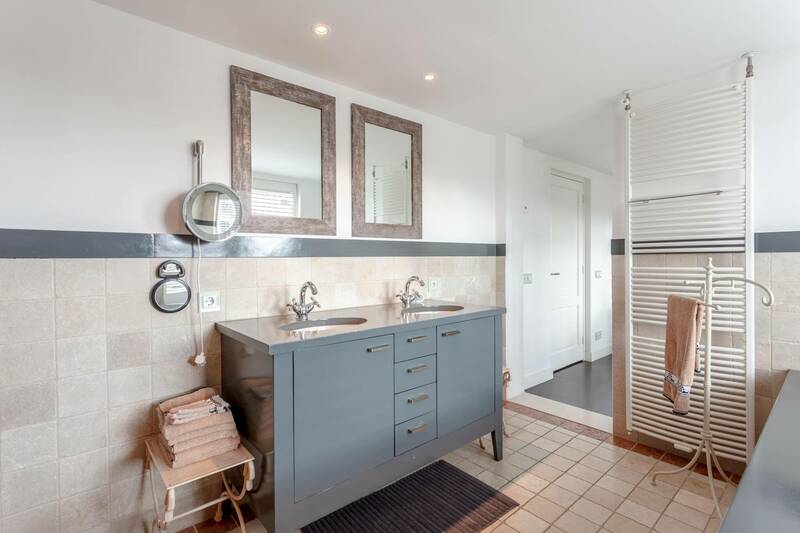 Proximity to the A10 ring road and surrounding motorway network makes the apartment an excellent choice for car owners. 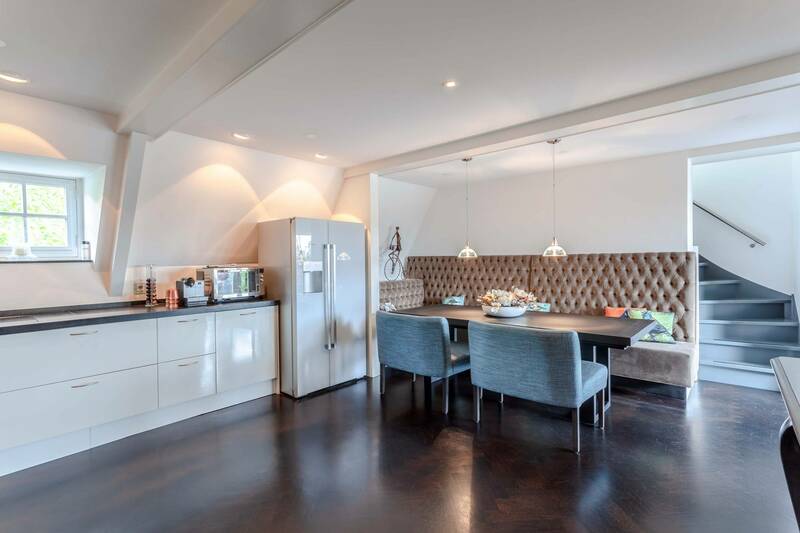 For luxury, space and comfort in a fantastic setting, look no further than this premium city base!